What will happen if I do not pay my credit card bills/debt? 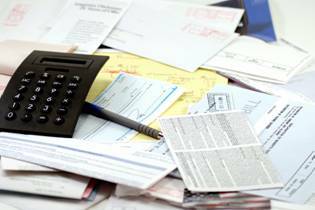 What happens if I don’t pay my bills? First the good news: you will not have to go to jail. The US does not have debtors' prisons, so you don’t have to worry about being incarcerated for failing to pay your creditors. The bad news is that there are other things that the creditors can do to get their money back. For example, if you don’t pay your utility bills (electricity, gas, telephone, water), the providers have the right to cut off those services. You may find yourself without heat or running water in the middle of winter. If you don’t pay your credit card bills, the card companies will turn you over to debt collection agencies. The agencies use every legal (and sometimes illegal) tactic they can think of to get that money. This can include calling you 10 times a day, dropping by your house, even talking to your neighbors. In the meantime, your debt could grow as the credit card companies add fees and interest to your balance. Eventually, the creditors can take legal action against you. They can get a court order to garnish your wages through your employer. This doesn’t happen often, but it does happen. There are also serious long-term consequences. Not paying your bills on time damages your credit rating. It makes it very difficult to get future credit. Even if you do pay off your debts, you may have trouble getting a mortgage, a credit card, or even a cell phone contract. Any credit you do get will come at a high price. People with damaged credit histories pay significantly higher interest rates than everyone else. If you genuinely cannot pay your bills, there are several options for you to consider. The first is debt settlement. Your creditors would rather get some of their money back than none at all. You can negotiate with them to pay part of your balance, and they may dismiss the rest. Creditors are required to report the settlement to the IRS, so you may be liable for income taxes on the canceled debt. Another option is filing for bankruptcy. There are two types of personal bankruptcy, Chapter 7 and Chapter 13. Chapter 7 is also known as “liquidation” bankruptcy. The bankruptcy estate takes possession of your assets, sells them and uses the money to pay back your creditors. Once that money runs out, the rest of the debt is erased. This is a good option if you have a low income and no major assets, as it requires a means test. Video: What kind of Bankruptcies are there? If you do have assets, you may want to consider a Chapter 13 bankruptcy. With a Chapter 13 bankruptcy, you get to keep your assets, including your car and your house, even if you’ve missed some payments. However, your debts are not erased. Instead, you would work out an interest-free payment plan allowing you to repay your creditor at a rate that you can afford. Both bankruptcy and debt settlement will damage your credit score. However, if you are considering either of these options, chances are that your score is already fairly low, so this should not be your main concern.